Muscletech Creatine Pills Price | Buy Muscletech Creatine Now! Creatine is a substance which is synthesized in the liver and is responsible for the ATP. The more creatine there is in muscle tissue, the bigger they look, and the more energy is released. Inside the muscle creatine is converted into ergogenic nutrient and there it turns into ATP. Also in muscle there is a process called cell volumizing, during which an accumulation of water muscles happen. Due to the water retained inside the muscle, they become heavier, and the more energy is produced. Besides this process occurs without oxygen, which allows active energy accumulation. The main feature of sports nutrition creatine is active participation in the growth and contraction of the muscle fibers, as well as energy metabolism in the whole body. By the way creatine prevents creation of lactic acid, the result is less fatigue after training and the absence of severe pain in the muscles. 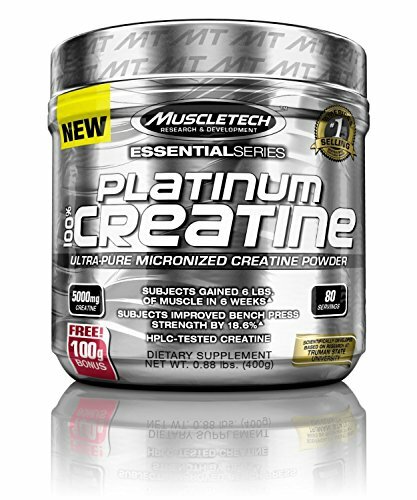 Muscletech Platinum 100% Creatine provides active buildup of muscle tissue; increases strength and muscle mass; adds flow of energy; increases loads appropriate for muscles. 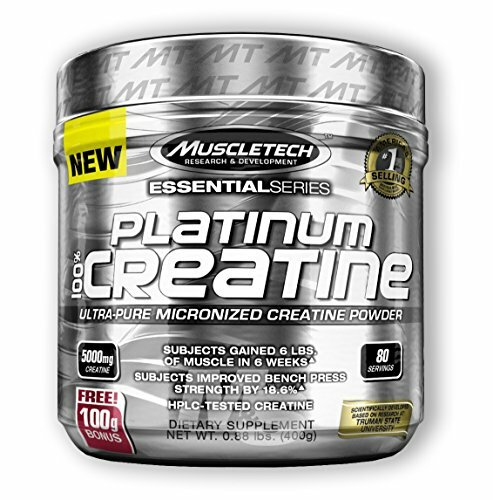 It should be noted that Muscletech Platinum 100% Creatine is thoroughly crushed and micro filtrated. Platinum 100% Creatine helps to restore ATP quickly, it is an important source of muscle energy, which improves recovery time between sets and increases muscle performance. 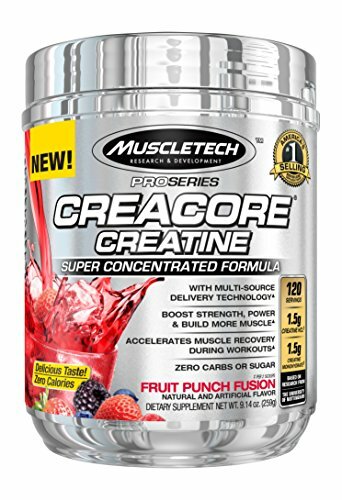 Creacore Creatine by Muscletech is a concentrated creatine supplement. Creacore is the first and still the only creatine formula using fenugreek extract to enhance the effectiveness. Each spoon of this supplement is charged with double dose of creatine. Creatine is essential for rapid recovery of ATP, increase strength and muscle growth, and the extract of fenugreek plays the role of an auxiliary component which accelerates the transport of creatine into the muscle tissue, improves its assimilation and normalizes the performance of the digestive system.